dbkeller bought reward: "1 MP3 of an Unreleased Song"
4everJD bought reward: "2 MP3s of Unreleased Songs"
dbkeller bought reward: "a whole lotta love :)"
Dawn bought reward: "2 MP3s of Unreleased Songs"
leelee bought reward: "2 MP3s of Unreleased Songs"
RonBaker: LOL...never heard of that cure before! RonBaker: Maybe do a Sam Cooke tribute??? mydonna23: I still watch you tube with all your performances never get tired of listening to you sing . mydonna23: Wow they are growing up so quickly . mydonna23: Say hi to Heidi & Kinzee for us also . NancyRevelle: This is sooooo cool, James! Just loving these! reoracer: We love the personalness you share with us! mydonna23: The haunted house story I am looking forward to hearing more about. mydonna23: Peopel like you have made American Idol what it is .. you deserve the credit as well . HollyB: Thank you James! Couldn't comment during the show because I couldn't hear if I had the desktop view open. So freaking cool to hear the stories! What was your favorite part of the performance? I was unable to view the concert. JAMES DURBIN is a Singer, Songwriter & Artist from Santa Cruz, California now residing in Nashville, TN. He finished in 4th place on Season 10 of American Idol. Since 2017 Durbin has held the place as Lead Singer of '80's Heavy Metal band QUIET RIOT. 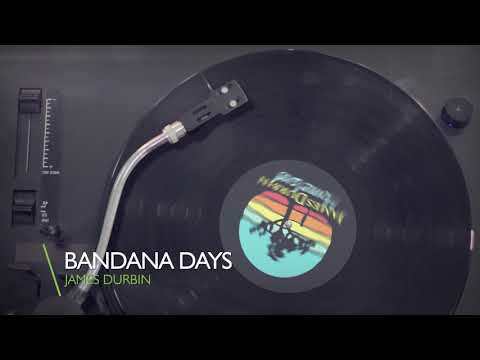 DURBIN has worked alongside a growing list of legendary musicians and producers including: Stevie Wonder, Bob Babbitt of The Funk Brothers, Don Was, Zakk Wylde, Sheryl Crow, Tom Jones, Mick Mars, Steven Tyler, Judas Priest, Will.i.am, Jimmy Iovine, Marc Anthony, Sammy Hagar & Dave Grohl to name a few. DURBIN has appeared & performed on The Tonight Show with Jay Leno, Live with Regis and Kelly, Late Night with Jimmy Fallon, Ellen & Conan twice. Fall of 2018, JAMES DURBIN released his 4th solo album "HOMELAND". For this record, he took on all duties of writing, recording, engineering, mixing & mastering. His wife Heidi headed up photography & branding. The album was released under The Durbin's DIY Independent Label "WILD VINE RECORDS". James Durbin's "HOMELAND" is available on all Digital & Streaming services.